The Cromlech Cottage is a detached cottage by an historic Dolmens site and the Dolmen Centre, 1 mile of Narin in County Donegal. The cottage is set on one level, and has a double room and a family room with a double and a single bed. The cottage also has a family shower room, a kitchen with dining area and a sitting room with woodburning stove. Outside is a lawned garden, and ample off road parking. 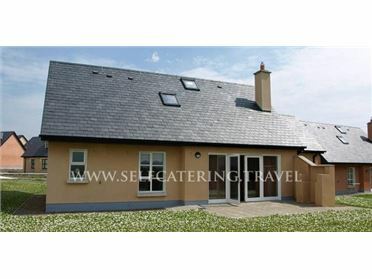 The Cromlech Cottage makes a superb base for enjoying the beach at Narin, or a round of golf. Or use it as a base to explore popular Ardara. Narin is a small village in Gweebarra Bay, on the west coast of County Donegal. There is great walking country here, with low hills and rolling bog land. Narin has a great sandy beach, ideal for watersports, bathing or just relaxing. Visit Ardara, Dungloe or Donegal Town, which are within driving distance.